James Toseland’s 2007 keeps getting better and better after he made the shortlist for the prestigious BBC Sports Personality of the Year award. The 27-year-old, who will ride for the Tech 3 Yamaha team in MotoGP next season, made the shortlist of 10 of Britain’s biggest sporting stars. James Toseland finds himself in illustrious company, with Formula One star Lewis Hamilton, England rugby World Cup linchpin Jonny Wilkinson, and boxing ace Ricky Hatton also leading contenders. Toseland’s inclusion on the shortlist is not only a massive personal boost, but it’s also a huge coup for British motorcycle racing with the Sheffield rider recognised for his achievements against some of the best known names in global sport. Over 40 leading sports experts were involved in the selection process, with a judging panel of greats, including many former winners, also playing a part. The public will decide the winner with a phone vote live during the Sports Personality of the Year show - so get behind Toseland and cast your vote. 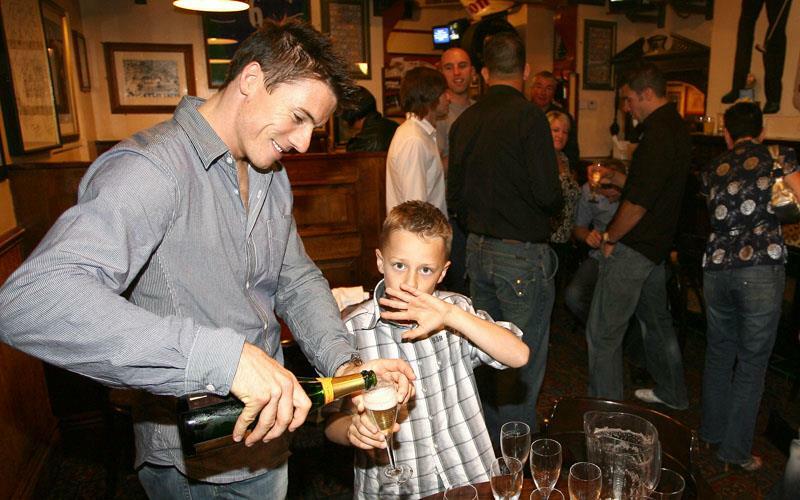 James Toseland will attend the awards ceremony in Birmingham on Sunday, December 9, 2007. The event is live on BBC One at 7pm. He scooped the BBC Yorkshire Sports Personality of the Year award last weekend at a ceremony in Barnsley. James Toseland told MCN: “It is an honour to see my name on the shortlist. It is very flattering personally, and caps off a truly memorable 2007 for me. “It doesn’t only give me great personal satisfaction, but I think it is fantastic for the profile of motorcycle racing in Britain. “I’ve got a lot of unbelievable fans in Britain, and their support in 2007 definitely helped me win my second World Superbike title.